Visit us on LinkedIn, Facebook, Twitter, and Instagram! 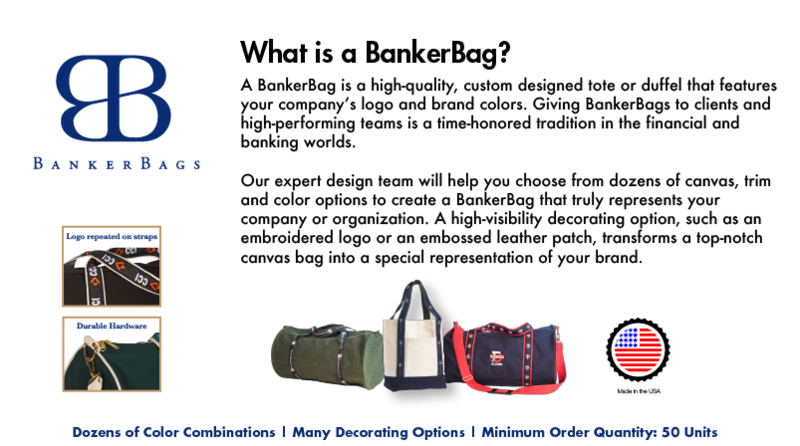 BankerBags is part of the Arrow Promotional Group, which was founded in 1961 and also includes Arrow Promotional and DealGifts. Together, we can fulfill all your company’s corporate gift needs, from custom awards and deal mementos to trade show and event giveaways.